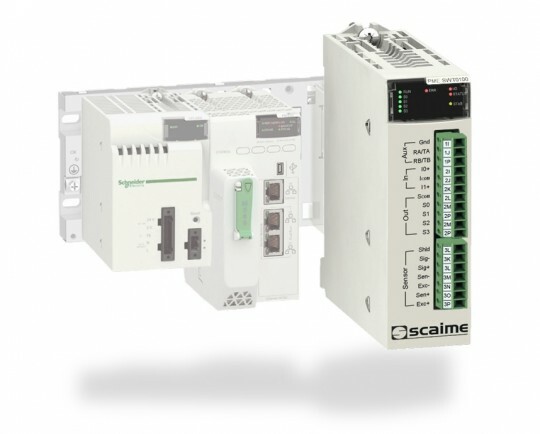 Since 2008, SCAIME has been a member of Schneider Electric's "Collaborative Automation Partner Program" for weighing applications. Within the framework of this partnership, SCAIME was selected to provide its range of products and its experience in weight control, filling and dosage, as reflected in its range of eNod weighing controllers. 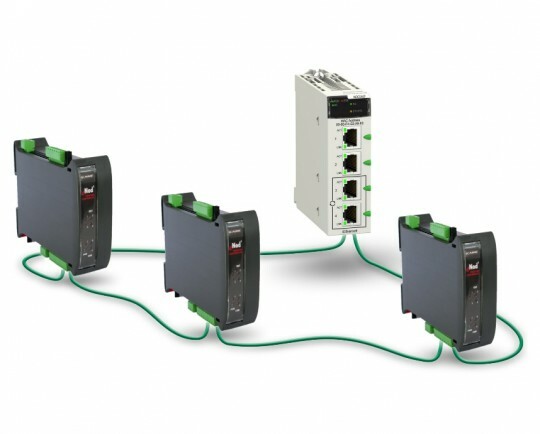 As such, eNod controllers offer proven interoperability with Schneider Electric M238, M258 and M340 PLCs via CANopen, Modbus-TCP or Ethernet-IP networks. eNod weighing controllers also include high-speed measurement transmission features and advanced functions dedicated to dynamic weighing and dosing by weight. Since 2014, SCAIME has also offered the PMESWT weighing module specially designed for Schneider Electric. This module, fully integrated with the M580 or X80 RIO Ethernet backplane, offers the end user a number of advantages: easy integration with Unity Pro by FDT / DTM, communication via the Ethernet backplane, and hot-swap functionality.